What you need to know to navigate your way throught the referendum debate. How much would the UK actually save if we left? Haven't Brexit fears affected the value of Sterling? Will the value if the Pound in my pocket suffer if we vote to leave? I work in financial services. Would my job be at risk? Would leaving the EU affect property prices? Are there economists that favour leaving the EU? The Government says that the cost of living and prices in the shops will go up if we leave the EU. What are the facts? Why is the prospect of leaving causing business so much uncertainty? Are jobs at risk if we leave the EU? Would it be more difficult to secure trading deals without the EU behind us? How would we preserve trade with the EU and the rest of the world if we left? Would our exports (e.g. motor vehicles) face steep tariffs if we left the EU? Does the European Arrest Warrant make us safer? Would leaving the EU cause the break-up of the UK? How long would it actually take to leave the EU? Would we keep an open border between Northern Ireland and the Republic of Ireland? Would UK nationals lose the right to live in the EU state in which they currently reside? Name one public figure who has said that Britain could prosper outside the EU? If we left, would we lose the ability to influence the standards of the Single Market? Why can’t we stay in and reform the EU? Would leaving the EU be “a leap in the dark”? If we left, would I have to face longer passport queues at airports? Would the EU try to punish us for leaving? Would workers lose their rights outside the EU? Should a trade unionist be for or against the EU? Would leaving lose us Foreign Direct Investment (FDI)? Why do some environmental groups support the EU? Is the EU about peace? How does the EU help the young in the UK? Is the Erasmus programme for student exchanges open to non-EU citizens? Shouldn’t the EU get the credit for suggesting that mobile roaming charges be reduced? Can I trust the BBC’s EU coverage? The net government EU contribution for 2015 is effectively £8.5 billion. Haven’t Brexit fears affected the value of Sterling? Will the value of the Pound in my pocket suffer if we vote to leave? . There are been several factors, including low UK interest rates, and trader caution in the light of wider global economic pressures. However, economists at the private bank Berenberg believe that there is a low probability of a Sterling crisis post-Brexit. However, there is separate evidence that the EU faces massive difficulties of its own in the year or so ahead, which could impact the euro on markets, putting it into relative decline. Forecasting is not an exact science, but Sterling could see pressure regardless of the referendum, due to US interest rates and the UK’s large current account deficit. Investors are also said to think that UK interest rate rises will occur much faster following a Remain vote than a Leave vote. I work in financial services. Would my job be at risk? . 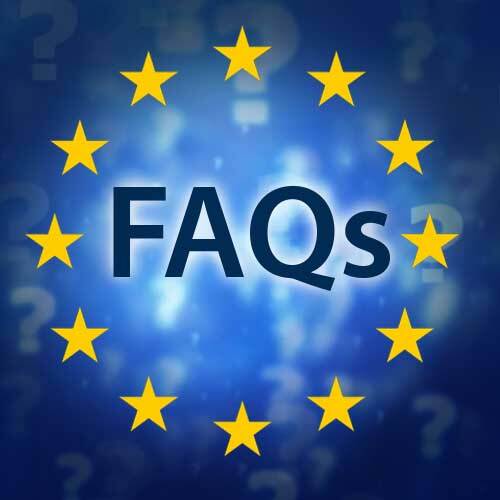 Some financial services within the EU require a financial services ‘passport’ to supply. Current rights could be preserved by retaining membership of the wider Single Market (EEA) or by specific agreement with the EU. . It is EU agencies that threaten jobs in financial services and associated businesses. Would leaving the EU affect property prices? . There may be no 100% clear-cut answer. The recent slowdown has been more due to changes in Stamp Duty; the EU referendum has not hit consumer confidence. International buyers have also been put off by strict regulations. Prices reflect demand which cannot currently be met by supply. The market reflects the wider economy, which could be positively affected by Brexit or many other factors, including London’s relative attractiveness as a location and affordability pressures. Mark Carney of the Bank of England, Christine Lagarde of the IMF, and the Treasury and Mr Osborne have all come out saying that a vote to leave the EU would be a disaster for the UK, Europe, and the world. Don’t you think this is something we should take serious notice of? We have been here before, when Prime Minister Tony Blair arranged for very important persons, one after the other, to give similar warnings if the UK did not join the Eurozone. Is the same thing happening now? 5. real wages will increase. There are independent economists, not spokespeople for the Government. The group is comprised of Roger Bootle, head of Capital Economics, a global economics consulting firm, Ryan Bourne, Head of Public Policy at the Institute of Economic Affairs, Professor Tim Congdon, CBE, formerly on the Treasury’s Panel of Independent Forecasters, Warwick Lightfoot, formerly Special Advisor to the Chancellor of the Exchequer, Dr Gerard Lyons, Chief Economic Advisor to the Mayor of London, Neil MacKinnon, Senior Advisor to City of London firms, Kent Matthews, Professor of Banking & Finance at Cardiff University, and Patrick Minford, Professor of Applied Economics at Cardiff University. . Indeed, wages overall are likely to go up, because there will be controlled migration and downward pressure on wages overall will slow down or even will stop. According to the Bank of England, the EU harms working people. If we leave the EU the cost of living will go down, and wages are likely to go up overall. Our contributions to the EU Budget, plus Budget top-ups, plus other, hidden contributions to the EU will stop. This will mean that the cost of UK government will go down, which means rising government debt and the interest payments on it can be contained, and taxes can be reduced or at least contained. For example, Londoners now spend two-thirds of their income on rent compared to about half five years ago (Official figures released in January 2016). EU protective import duties on imports such as food, machinery, shoes, clothing, and other items will be eliminated, reducing prices in the shops. Getting out of the EU Common Agricultural Policy will again reduce food prices, since the whole point of CAP is to apply protective tariffs (up to 50%) against food coming in from outside the EU. .
VAT, which is an EU sales tax, is unlikely to be eliminated but the proportion of it that we have to send to the European Commission, can be eliminated. Why is the prospect of leaving causing business so much uncertainty? . Not everyone considers Brexit to be even a significant risk. Some economic models show practically no ill-effects and many benefits. Indeed, instead of talking Britain down we have much to be positive about. Remain claim that millions of jobs are at risk. The three million jobs claim goes back to a study done for the National Institute for Economic and Social Research (NIESR). Dr Martin Weale, Director of the NIESR, said the claim was “pure Goebbels”, referring to the Minister for Propaganda in Nazi Germany. Professor Iain Begg of the LSE, author of the report, said: It has always been a bit of a false perspective to say that three million jobs would be lost. . There are a number of reasons why, at first, there will be little or no change in the level of employment if we leave the EU. There have been a number of economic reports all saying this: little or no change in the short term. But in the medium to long term employment is likely to steadily rise if we leave the EU. Would it be more difficult to secure trading deals without the EU behind us? . EU trade deals have previously been held up over French interests. Non-EU countries like Switzerland have secured more deals than the EU, and the USA has concluded about 20 deals with countries smaller than the UK. There is evidence that future international deals will be open to for other countries to join. The UK and all EU members are committed to World Trade Organization (WTO) objectives, such as stabilising the world trading system and removing barriers. We could use also this forum to preserve trading relationships with the world’s other main economies, which are also signed up. When a part or parts of the territory of a State separate to form one or more States, whether or not the predecessor State continues to exist: . (a) any treaty in force at the date of the succession of States in respect of the entire territory of the predecessor State continues in force in respect of each successor State so formed. The UK and the third country just need to notify the UN, that the trade treaties will continue and apply to UK after our secession. In other words, all these trade treaties don’t need to be renegotiated by an independent UK. The UK and other EU countries are big importers and exporters. All common sense dictates that we maintain free trade in both directions and avoid import tariffs of 10%. As a precedent, the EU and a major manufacturer, South Korea, have agreed a tariff-free trade agreement in cars. . The numbers of German cars exported to the UK is quite telling. For instance, the Volkswagen Group has a 19% share of the UK market, which totalled 374,000 cars sent to Britain in 2011. BMW sent to Britain that same year 130,000 cars produced in Germany. BMW also produces the Mini in the UK and exported from Britain to the continent 156,000 cars each year; they also own Rolls-Royce which sends cars to the rest of the EU. UK car plants are so efficient that the Japanese car firm Toyota even exports cars back to Japan from its plant in Derbyshire; yet Japan is not in a political union with the UK. It’s the European Union’s body of law, which is getting on for 200,000 pages long, is known as the Acquis Communautaire. The Acquis, as it’s usually known, is all the regulations, directives, policies, practices, and formal opinions of the EU. It represents the powers gradually acquired by the EU over the years, in what is known as competences. Competences is EuroSpeak for the exclusive right and power that the EU has in making laws over and above its member states. .
Only the EU, not national governments, can make laws in these competence areas, and the number of competence areas grows continuously. It’s like a ratchet which doesn’t wind backward in devolving powers back to member countries, only forward in one direction for more EU competences and more EU laws. The European Arrest Warrant has dealt a body blow to traditional British values. A Justice Minister or prosecutor (note: not a judge) in any member state, including one lacking our tradition of civil liberties and quality of justice, can have a British citizen in the UK arrested and extradited to face trial for an alleged offence that may not even exist in British law. A British judge has no right to intervene except on purely technical grounds, there is no . assessment of prima facie evidence and the arrest can be made by a Europol officer. The accusation can be wafer-thin and of course once abroad the British citizen lacks the protection of habeas corpus. Would leaving the EU cause the breakup of the UK? . A Scottish breakaway is unlikely, as it would only be viable if several conditions were met. These including the price of oil, which is likely to stay too low for the foreseeable future. Exiting the EU will allow for more powers, such as over fishing and agriculture, to be given to the Scottish Parliament, it will be super devo max for Scotland. After the vote to leave the Government should notify the EU, under Article 50 on the Treaty on European Union, that the UK will leave. There will then be negotiations on a withdrawal agreement, defining the future trade relationship between Britain and the remainder of the EU. This process should take 2 years. . Articles 3 and 8 of the Treaty on European Union legally requires the EU to negotiate free and fair trade with non-EU countries. Would we keep an open border between Northern Ireland and the Republic of Ireland? . Legislation ensures that the border would be kept open, keeping trade and travel easy. Regardless of this the United Nations Economic Commission for Europe has schemes (known as a TIR Carnet) that allows for goods to pass without hindrance across customs posts. However, that need will not arise. How long would it actually take to leave the EU? . After the vote to leave the Government should notify the EU, under Article 50 on the Treaty on European Union, that the UK will leave. There will then be negotiations on a withdrawal agreement, defining the future trade relationship between Britain and the remainder of the EU. This process should take 2 years. Those that have established a residency, which will include both living and owning property, in an EU member state will have their rights protected upon withdrawal. This entitlement is known as an ‘executed right’. Article 70 b. of the Vienna Convention states that the withdrawal from a treaty "Does not affect any right, obligation or legal situation of the parties created through the execution of the treaty prior to its termination". . This view is supported by the constitutional expert Lord McNair. He concluded that such rights established by a treaty will remain in force even if the agreement is terminated by Britain’s exit. In law they are considered to be executed by the treaty and ‘have an existence independent of it; the termination cannot touch them.’ Their status will be guaranteed as a result of the ‘well-recognised principle of respect for acquired [vested] rights’ (McNair 1961). Furthermore, it is a legal norm and the Oxford Journal in its yearbook on international law argues that Acquired Rights are Customary Law and therefore take precedence over national law at the international level. Furthermore, they will be regarded as such by the International Court of Justice in the Hague. Therefore, Britain leaving the EU will have no impact on EU citizens already resident here or for British citizens living abroad. Name me one public figure who has said that Britain could prosper outside the EU? David Cameron noted in his Chatham House Speech “I am not saying for one moment that Britain couldn’t survive outside the European Union. Of course we could…”, giving several reasons. "If we were outside the EU altogether, we’d still be trading with all these European countries, of course we would... Of course the trading would go on. . Sometimes … There’s a lot of scaremongering on all sides of this debate. Of course the trading would go on." As part of globalisation, the EU is discarding its rules and regulations for wider global standards, unless there is a sound reason for not doing so. Many Single Market standards are covered. Outside the EU, we would gain a vote on international bodies making the standards. Inside the Single Market (EEA) we would still get consulted. its court, the European Court of Justice, has ruled that powers cannot flow back. Would leaving the EU be “a leap in the dark”? . It might be for the government, which has failed to produce a Brexit contingency plan, as it instead preferred to scaremonger. However, the UK has many international connections that would provide some continuity and stability. We ran our own affairs before we joined the EU in 1973. If we left, would I have to face longer passport queues at airports? . Nationals of non-EU countries like Switzerland and Norway enjoy the faster queues too. The UK could certainly preserve its priority if it remained in the Single Market (EEA). Would the EU try to punish us for leaving? . The EU must respect the UN Charter guaranteeing self-determination of nations. It must negotiate with us 'in good faith' under both EU and international law. Other agreements will help safeguard our trade and security. It is not in the EU’s interest to damage its major customer when common sense dictates a win-win arrangement. Furthermore, the EU is mandated to seek free and fair trade with countries outside of the EU. Many employment rights are agreed at wider international level (e.g. at the International Labour Organisation), They would exist independently of EU membership. Some labour organisations see EU policies and legal decisions as a threat to working people’s conditions, claiming EU austerity is driving UK austerity. Social Europe is a myth. This has been proved by EU led austerity and decisions by the European Court of Justice that undermine trade union rights. The policies of the EU run contrary to the policies and principles of trade unionists. Spend a lot of time and money in lobbying the European Commission in Brussels, who don’t want things to change. It has been estimated by EurActiv.com that there are about 30,000 corporate lobbyists in Brussels, and about 80 per cent of input to the European Commission for initiating EU laws comes from big multinationals. For these companies, there are vested interests in remaining. Want to remain in the EU because of access to the EU Single Market. If they have a base in the UK then, as long as the UK remains in the EU, access to the Single Market is clear. What they appear not to realise is that they do not need to be in the EU to enjoy access to the EU Single Market. American companies are an example. Want to keep the lower wage bills with the UK being in the EU. Large migration into the UK from/through the EU means pressed-down wages. If big companies benefit from this, keeping their costs low and profits high, they don’t want things to change. There is evidence that EU membership boosted FDI into the UK in the early years only. Many non-members have since attracted more FDI. A government publication admits that there are several wider business factors like the UK legal system that encourage FDI. Indeed, the countries in Europe that receive the most FDI are not in the EU. The funding towards the EU’s Civil Society Contact Group in 2011 amount to more than €3 million and made up the bulk of each organisations funding. The European Public Health Alliance received €681,536 which constituted 61 per cent of its funding. CONCORD (The European NGO confederation for relief and development) was granted €691,345, 51% of its funding. Social Platform (Platform of European Social NGOs) was granted €654,289 86% of its total income. The European Civil Society Platform on Lifelong €200,000 which equals 74% cent of its funding. Culture Action Europe was granted €110,500 and made up 45% of its proceeds. Environmental organisations especially benefit from Brussels. As in the previous list the recipient organisation is listed followed by the size of taxpayer funding from Brussels and the percentage of their income that comes from the EU. WWF European Policy Office €599,954 (13%). There is nearly a further three dozen organisation engaged with the EU’s social platform. These range from; the European Association of Service Providers for Persons with Disabilities to the European Council for Non-Profit Organisations (CEDAG) to the European Region of the International Lesbian, Gay, Bisexual, Trans and Intersex Association (ILGA Europe). And more than a dozen pro-EU campaign groups such as; Centre for European Policy Studies, Pour la Solidarité and Friends of Europe each receiving the bulk of their funding from the European taxpayer. The list goes on and the financial cost increases. . In return for involvement at the heart of the EU’s policy making process the participating organisations are encouraged to promote the European ideal to its network of citizens in the member states and across Europe. It is claimed that he EU is about peace. This is the first, last and only defence of the EU by many Remain campaigners today. Can the EU still claim to be a peace project? . The EU is hurting the prospects of young people on the continent as well as in the UK. The Erasmus programme includes 37 countries, 9 of which are not in the EU. Even Israel is a part of the scheme. The idea was actually been promoted globally by the OECD and the International Telephone Users Group, and action taken on a far wider level. The idea was first raised by the International Telephone Users Group (INTUG) in 1999. Action was taken by many countries (e.g. India, the ASEAN bloc and Latin American countries) after the OECD pushed for a reduction on a far wider basis, although aware of the issues, the EU had missed the chance to take meaningful action before then. The BBC receives millions in funding from the EU.
. . . deeply concerned about the manner in which the BBC treats EU issues. Our witnesses seemed to be more intent on defending and asserting their own opinions, mindset and interpretation of the obligations under the Charter and Framework Agreement than in whether they had in fact discharged them or whether they had the mindset to carry through their aims in the interest of the license fee payers, and the public in general. The BBC is especially culpable in this regard. BBC coverage of European issues has given disproportionate airtime to the most extreme and often ill-informed opponents of Europe . . . while marginalising those who attempt to engage in nuanced and constructive debate … The British people, for the sake of the entire continent, must make the right decision for the right reasons … The media, especially the BBC, must do far more to raise the standards of debate.